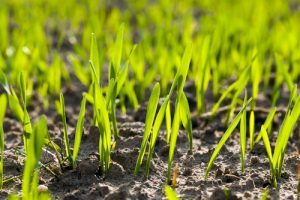 What Is The Best Season For North Attleboro Lawn Seeding And Why? Over a period of years, your lawn may deteriorate to a point that it is no longer possible for it to be nurtured back to health. Traditional practices of watering, fertilizing and other actions are futile in trying to get the lawn to the appearance that it once had. Excessive accumulation of thatch, disease, insect infestation, and overpopulation of weeds are other reasons why your lawn can be in poor health. Lawn seeding is one technique for bringing your turf back to a healthy state. It is best to renovate and over-seed the lawn in early fall because conditions are ideal for establishing a new and healthy turf. When you begin this process, you must eliminate the factors that caused the turf to decline. Then, without completely tilling under the lawn, you must re-seed. This can be as simple a process as identifying bare spots and seeding them or using an herbicide (non-selective) to kill off all vegetation and re-seeding the entire lawn. This bigger job should be done if 50% or more of your turf is composed of undesirable grass species and weeds. From August 15 to September 15 is considered the best time to renovate your yard and do lawn seeding. There is not much competition from weeds during early fall. New seedlings should have a favorable environment at this time of year due to lower temperatures and plenty of rainfall. You must do the seeding early enough to allow the grass to become established before cold weather comes so it has the best chance to survive winter. It is possible to attempt this process during the spring, however, you run less of a chance of success due to weed competition and heat stress.